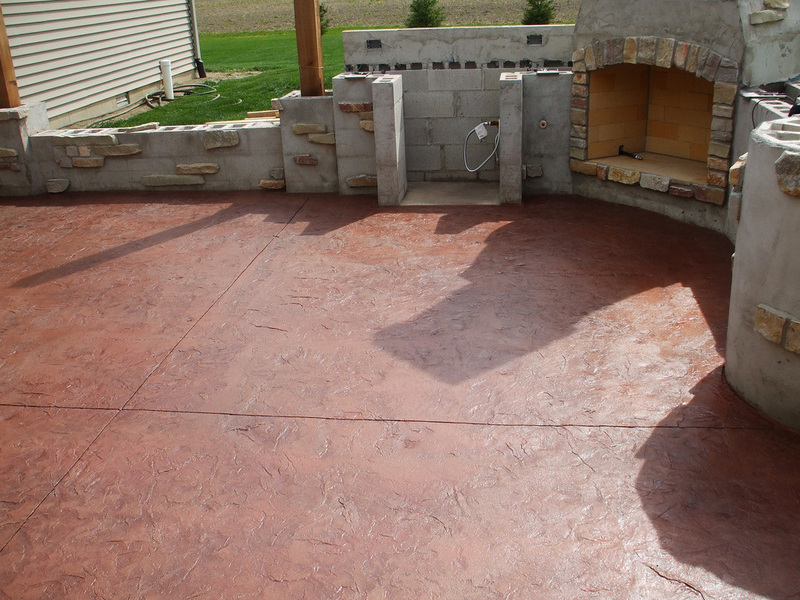 Acid based concrete stains consist mainly of water, hydrochloric acid, and metallic salts. 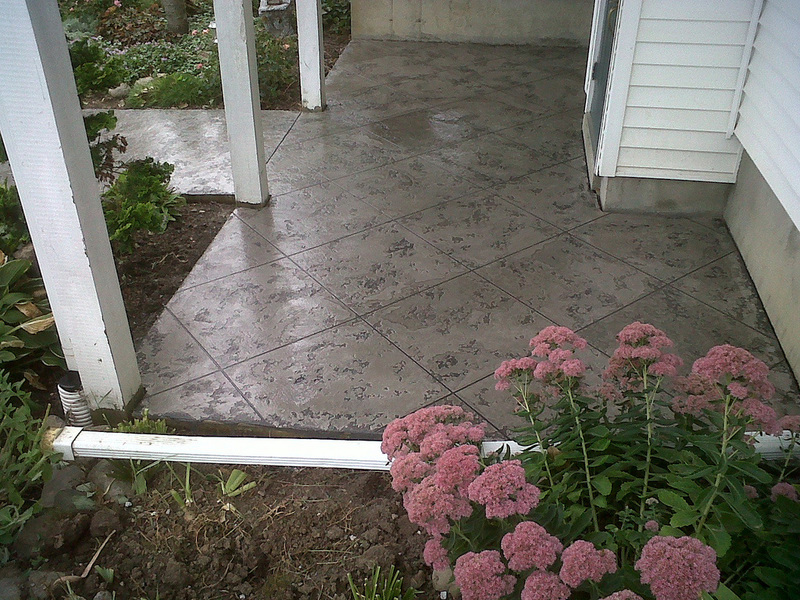 When applied on the concrete, acid stains etch the cement, allowing the metallic salts to penetrate and chemically bond with the concrete. The result of this reaction is a natural looking, permanent color that can't peel or flake. 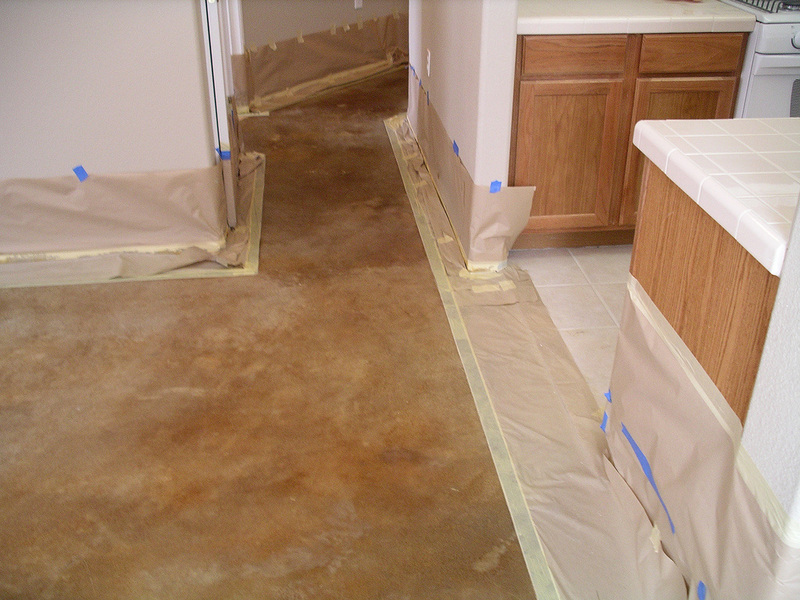 Unlike paint, acid stains create a variegated or mottled look like marble. Color choice is limited to natural tones ranging form very deep brown to light tans, golden and blueish-green shades. You can use your creativity to make decorative color schemes and patterns.